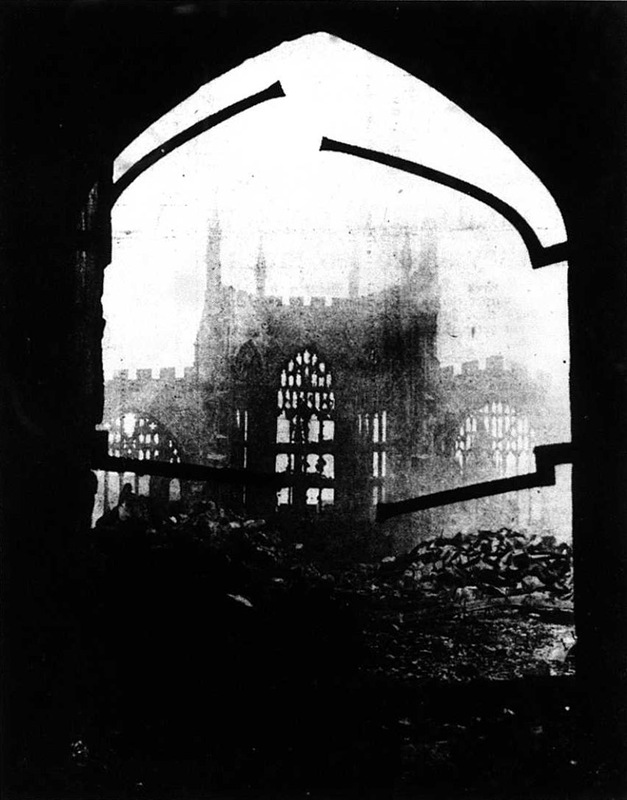 A picture of devastated Coventry Cathedral featured on the 16 November 1940 edition of the Daily Express. Accounts of the bombing are still sketchy as of this date, with estimates of 1000 casualties (actually, more than that, though the dead subsequently are estimated to number at 500-600. Italian/Greek Campaign: The Battle of Korytsa, at the town of Korçë, opens on 16 November 1940 in southern Albania in the Morava Mountains. The Italian 9th Army defends the sector against the Greek III Army Corps. This is part of the larger Battle of Morava–Ivan heights. The Italians have strong defenses around the town, but the Greeks are highly motivated and operating on foot, infiltrating through unexpected areas of rough terrain. The Italians also are taken by surprise, overconfident in the balance of forces and who has the initiative - which in fact has switched to the Greeks. Elsewhere, the news is no better for the Italians. The Greeks attack in the Koritsa sector with the 9th, 10th and 15th Greek Divisions. A Greek cavalry division enters Konitsa in Pindos sector. The Greek 1st Infantry Division takes control of the Kamenik Heights. On the coastal sector, the Greek 8th Division continues its offensive on the Negrades sectors and the Kalamas river. The British continue using cruisers to ferry troops to Piraeus. At this point, 4230 troops have arrived, many in support of RAF operations. While Coventry's Holy Trinity Church spire still rises, the city is gutted. European Air Operations: RAF Bomber Command retaliates for the destruction of Coventry by sending daylight raids against several German cities, including Berlin, Bremen, Hamburg, Antwerp and other cities. The raid on Hamburg, a favored RAF target, is particularly heavy, with 131 bombers involved. The Luftwaffe send raids against the south coast of England. For the first time, Luftwaffe planes attack the Hebrides. After dark, the Luftwaffe sends 87 planes against London. 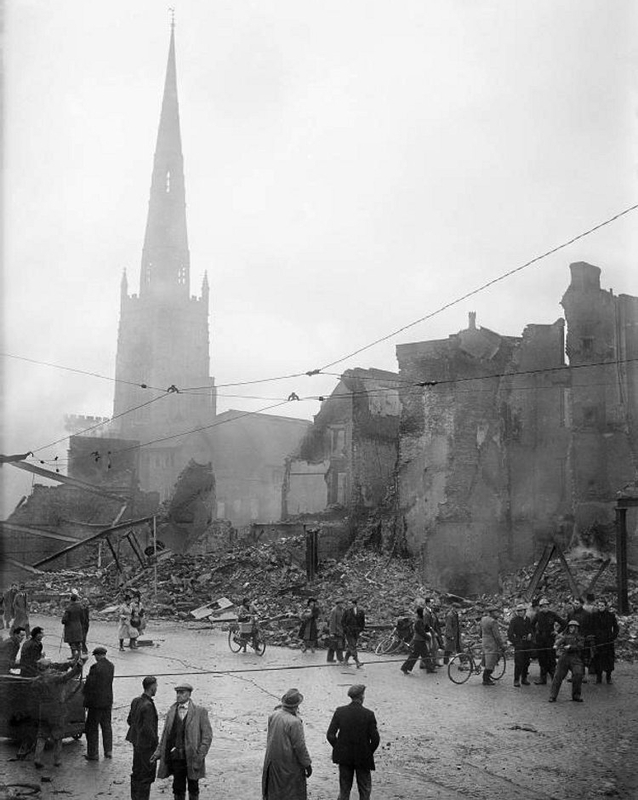 King George V tours devastated Coventry. The RAF creates a photo-reconnaissance unit of adapted Spitfire fighters. Battle of the Atlantic: German cargo ships Phrygia (4137 ton), Idarwald (5033 ton), Orinoco (9660 ton) and Rhein (6031 ton) depart from Tampico, Mexico in a bid to make port in occupied France. The Orinoco breaks down at the mouth of the Rio Panuco and is towed back to port by an accompanying tug. The other three ships continue to sea, but spot patrolling US destroyers USS Plunkett (DD-431, LtCdr P.G. Hale), McCormick (DD-223, Cdr T.V. Cooper), and Broome (DD-210, LtCdr. T.E. Fraser). The US ships are operating as part of the Neutrality Patrols agreed to by the nations of the Americas in Havana, Cuba. The crew of the Phrygia mistakes the US ships for Royal Navy ones and scuttles the ship. The two accompanying ships continue to sea, attempting to outrun the shadowing US ships. 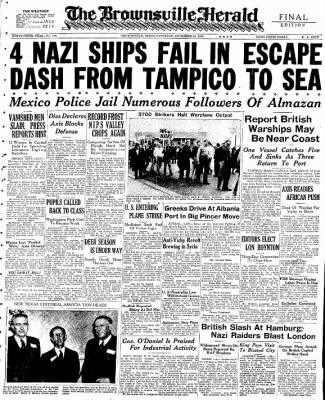 It is widely known that US ships are openly broadcasting the positions of German ships and tracking them, which Royal Navy ships can pick up and use to intercept German ships, so the fact that US ships continue to shadow them is extremely dangerous for the German freighters. Elsewhere, destroyer HMS Naiad spots 384 ton Kriegsmarine weather ship BS 4 Hinrich Freese (a converted fishing trawler) off Jan Mayen Island, Norway. The Royal Navy light cruiser chases it and apparently opens fire. Realizing that the ship cannot outrun the cruiser, the captain of the weather ship intentionally runs it aground on the Søraustkapp, wrecking the ship with the loss of two lives. The rest of the crew survives as POWs, rescued by trawlers HMT Elm and Wistaria. The weather ship has been operating as support of German raiders such as the Admiral Scheer and rescuing the crews of downed Luftwaffe seaplanes. U-137 ( Kapitänleutnant Herbert Wohlfarth) is on its third patrol out of Lorient and is patrolling in the sea lanes west of Bloody Foreland, County Donegal, Ireland when it spots 5887 ton British freighter Planter. The Planter, carrying fruits and vegetables from Egypt, has been part of Convoy SLS 53, but perhaps out of impatience with the convoy's deliberate speed (convoy speeds are restricted to the speed of the slowest ship), the captain of the Planter has outrun the convoy and become essentially an independent. Such ships are called "rompers." This proves to be a poor decision, as U-137 pumps a torpedo into the ship and sinks it. There are 59-60 survivors and 13 crew perish. The survivors are rescued by HMS Clare. U-65 (K.Kapt. Hans-Gerrit von Stockhausen), on an extended patrol out of Lorient and sailing about 650 km west of Freetown, spots 3059 ton British freighter Fabian. 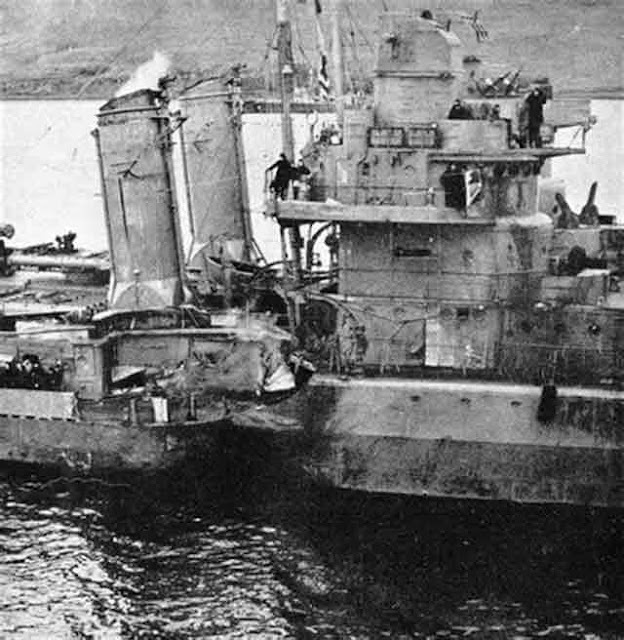 After putting a torpedo into the ship at 14:29, U-65 surfaces and hits the ship with five out of eight shots from its deck gun. There are 6 deaths. The Germans question the 33 survivors in lifeboats and provide them with with food and water before leaving the scene. The men are rescued by 7121 British tanker SS British Statesman. Royal Navy 550 ton anti-submarine trawler HMT Arsenal (Skipper C. R. Radford RNR) collides off Kilchattan Bay (the Clyde estuary) with Polish Navy destroyer Burza, which had barely survived a bomb hit at Dunkirk but been repaired. The crew survives, rescued by HMS Arrow and tug Superman. The wreck is about four miles south of Toward. HMS Arrow, meanwhile, is damaged by exploding depth charges on the Arsenal and requires repairs in the Clyde until January. The Burza also requires repairs in the Clyde that take two months. The Luftwaffe attacks Convoy FS 335, damaging 2052 ton British freighter Sherbrooke southeast of Orfordness. In addition, 2178 ton British freighter Dagenham is damaged on a mine northeast of Mouse Light Vessel. German raider Thor restocks from supply ship Rio Grande. The Thor also transfers prisoners it has taken to the Rio Grande, which then heads to France. Heavy cruiser HMS Norfolk returns to service after repairs in the Tyne. US Navy PBY Catalina flying boats are now patrolling the North Atlantic from bases in Bermuda, supported by seaplane tender USS George E. Badger. They operate from a base obtained in the September 1940 destroyers-for-bases deal with the UK. The deal helps both sides, because the British are no longer required to allocate manpower to Bermuda, and the US air patrols can provide useful intelligence to the Royal Navy. Royal Navy destroyer HMS Cotswold (L-54, Lt. Commander Peter J. Knowling) is commissioned and transfers from Greenock to work up at Scapa Flow. US Navy minesweeper USS Osprey (AM 56, Lt. Commander Cecil L. Blackwell) is commissioned. Battle of the Mediterranean: Italian bombers raid Alexandria during the night. Malta continues a period free of air raids. Many from the harbor areas who have evacuated to the interior are returning to their homes. There are practical reasons for this, as living far from work is a burden for many people. Estimates are that over 20,000 people have repopulated the area around Grand Harbour and Marsamxett Harbour. While this is a nice sign of confidence in the war effort, the lack of underground or "rock" shelters is becoming a major concern. Battle of the Indian Ocean: German raider Atlantis rendezvouses with its captured Norwegian tankers Teddy and Ole Jacobs. The Atlantis refuels from the Teddy, then sinks it. The Atlantis then sends captured Norwegian vessel Ole Jacob, full of high-octane aviation fuel (extremely useful to the Axis) and manned by a prize crew, to Japan. The Ole Jacob carries top secret British war documents recovered from British vessel Automedon. The documents are to be delivered to the German ambassador in Japan, who will give copies to the Japanese and the German government in Berlin. These are extremely sensitive and Top Secret documents which detail the British military position and plans in the Far East. Many believe they are instrumental in the Japanese decision to initiate war on 7 December 1940. 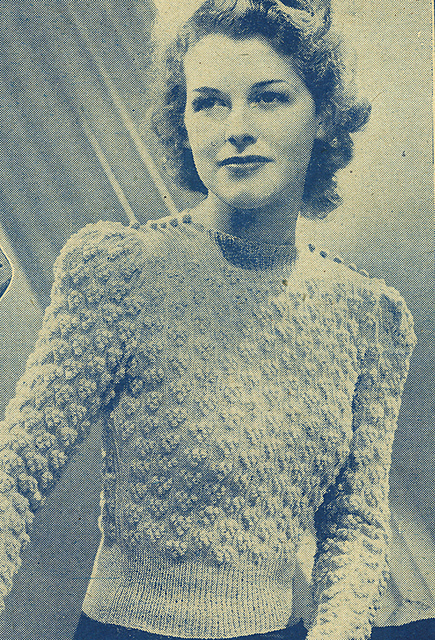 The classic tuft stitch ladies' jumper knitting pattern is first published in the 16 November 1940 issue of Woman's Weekly. "Skill level: Advanced." US/Vichy French Relations: Acting Secretary of State Sumner Welles has asked (on 13 November) the the Chargé d'Affaires ad interim, H. Freeman Matthews, to meet with the French about the status of the French battleships Jean Bart and Richelieu. Accordingly, Matthews meets with French leader Marshal Henri Philippe Pétain. Mathews asks if the US can buy the battleships. Pétain demurs. He says that the ships will only be used to defend French territory and not against the British and adds: "Under present circumstances, I have neither the right nor the possibility of selling them." German Military: Colonel General Heinz Guderian, one of the stars of the Polish and French campaigns while commanding XI Corps, is promoted to command of Panzer Group 2 (these formations are not yet designated Panzer Armies) in Germany. Guderian is one of the most respected men in the Wehrmacht (and internationally) for is widely read book about tank tactics. Colonel General Hermann Hoth, another successful panzer leader, takes over Panzer Group 3 in France. The wall of the Warsaw Ghetto. Mexico: Protests continue about the results of the 7 July 1940 Presidential election in which Manuel Ávila Camacho prevailed over war hero Gen. Juan Andreu Almazán. Many protesters are jailed. The election results, in which Camacho received 93.9% of the vote, have spurred many of Almazán's supporters to riot to protest a supposedly fraudulent result. Almazán himself has fled the country in hopes of stirring up support for his cause in the United States. The inauguration of Camacho is scheduled for 1 December 1940. The wave of protest against the result is called almazanismo. It is fair to point out that such lopsided election returns in hotly contested elections are rare in democracies, especially those where there is obvious widespread street support for the loser. The US, for its part, does not want to get involved in this foreign quarrel and is not supporting Almazán. 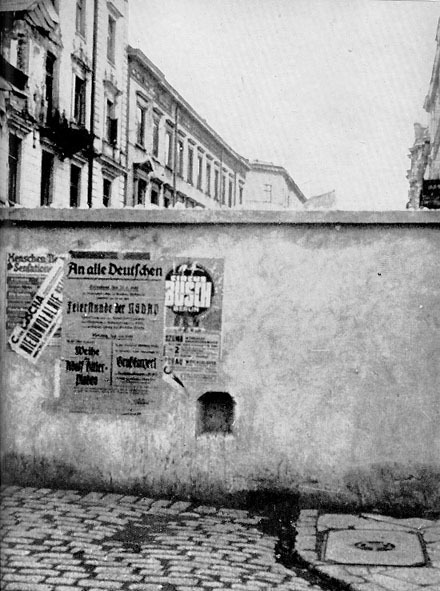 Holocaust: The Warsaw Ghetto is now walled-off from outside contact. An estimated 380,000-400,000 people are trapped inside an area too small to support them comfortably. Armed guards patrol the wall. Of course not. We stay. While the Daily Express highlights the Coventry raid's devastation on its front page, other newspapers downplay the damage and instead focus on things like the need to maintain war production there (the Guardian) or simply give short shrift to the entire affair (The Times makes the raid only the third leading article of the day). The Daily Express expresses a need for "more action to beat the night bomber" and "less talk about the so-called slackening of the blitz." 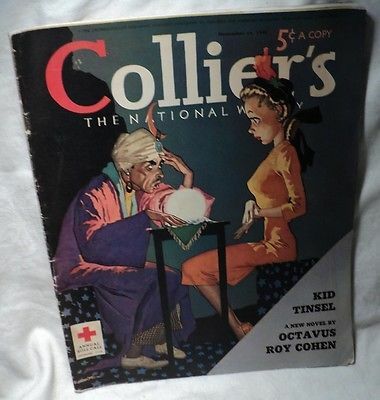 American Homefront: In the "Fifth Down" game between college teams Cornell and Dartmouth, college official Red Friesell mistakenly gives Cornell an extra down during the last seconds of the game. 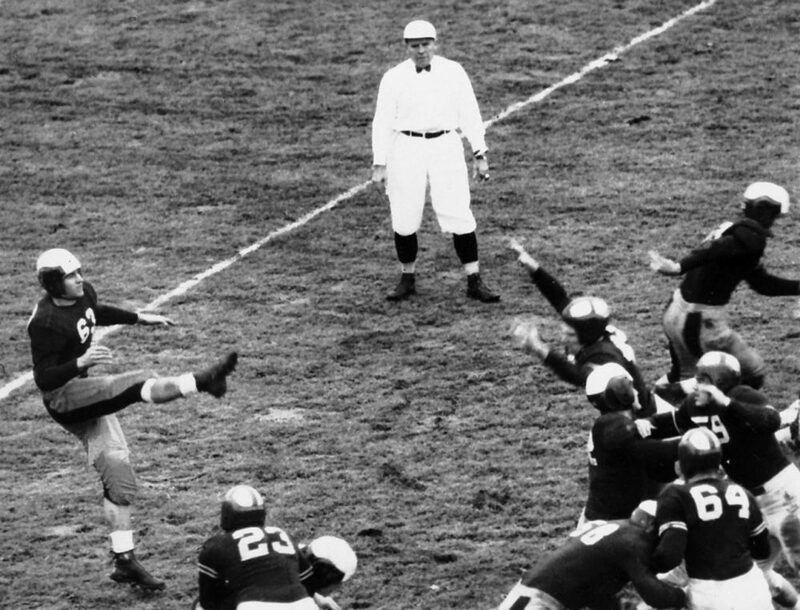 This mistake provides the opportunity for Cornell to score a touchdown which apparently wins the game for it 7-3. Officials (and everyone else) reviewing the game film quickly notice the error and forfeit the win, handing it to Dartmouth. The game is notable not only for the bad call and the reversal, but for its unique status as a game whose outcome and final score is decided by film only after the game is over and the teams have left the field. Cornell, incidentally, was on an 18-game winning streak at the time, and Dartmouth was only 3-4; the decision was a cruel blow to Big Red supporters.